To help students make individual Lenten calendars, see “Making a Lenten Calendar” at the end of this article. 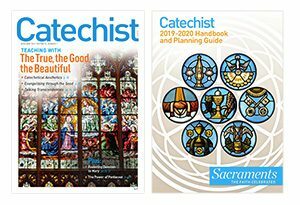 Our hard-working editor at CATECHIST, Kass Dotterweich, takes great care to reply directly to the countless questions we get annually from our readers about teaching and helping students live the Catholic faith. Every year, many of the questions we receive focus on different aspects of Lent—everything from the history of the season to the practices and customs we observe. So it seems like a good idea that we address the most frequently asked questions in this issue—traditionally devoted to Lent—in the hopes that the questions and answers will be of help to you as you prepare your students to celebrate Jesus’ Resurrection on Easter. Our parish has a Mardi Gras the weekend before Ash Wednesday. People eat, drink, and play games. What’s the purpose? In ancient times, on the day before Lent began, people cleared their larders of foods that were forbidden during Lent due to the very strict fasting regulations. Some of these foods included meat, fish, eggs, and other dairy products. Today that meaning of carnival has been almost completely lost. Inevitably, in the week before Ash Wednesday, television stations air film of the raucous carnivals in New Orleans. In fact, the carnival season begins on January 6, the Twelfth Night of Christmas and the date on which Catholics originally celebrated the Solemnity of the Epiphany of the Lord. Your parish celebrates Mardi Gras on the weekend before Ash Wednesday for a practical reason. Very few people would participate in a big community party on a work/school night. I heard the term “Shrove Tuesday” in one of our catechetical meetings but was too embarrassed to ask what it is and when. So I’ll ask you: What is Shrove Tuesday? When is it? Do we celebrate it? Never be embarrassed! Shrove Tuesday is another term that describes the day before Ash Wednesday. The word shrove is derived from a Latin word that means “confession.” In ancient times, people prepared for Lent by going to confession. Since the penitential nature of the Lenten season is a major focus of our preparation for Easter, this custom has not been observed for hundreds of years, yet the name persists. Lent is longer than 40 days. Why do we say “the 40 days of Lent”? Pull up a calendar and let’s walk through this. The 40 days of Lent are counted from the First Sunday of Lent to Holy Thursday. 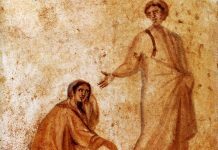 Ash Wednesday and Thursday, Friday, and Saturday of that same week are considered something of a prelude to when we begin counting the days: a time to reflect on how we will spend the next 40 days preparing to celebrate Jesus’ Resurrection. Before the liturgical reforms following the Second Vatican Council, Ash Wednesday was the first day of Lent. Sundays were not considered Lenten days because the regulations regarding fasting were lifted on Sundays. In those days, Holy Thursday, Good Friday, and Holy Saturday were counted as Lent, even though the season officially ended at noon on Holy Saturday. Some adults still remember waiting anxiously when they were kids for the noon siren to blow on Saturday so they could eat their first candy egg of Easter. Why is Easter celebrated on a different date every year and how is the date of Ash Wednesday determined? The dating of Easter was settled definitely at the Council of Nicea in 325 A.D. Prior to Nicea, some Church leaders believed that Easter should be celebrated on the actual anniversary of Jesus’ Passover. According to calculations, that would be the fourteenth of Nisan, the seventh month of the Jewish calendar. Since the Jewish calendar rotates, Easter would have fallen on a different day of the week each year, although on the same date. Many Church leaders felt strongly that Easter must be observed on a Sunday, to commemorate the day of Jesus’ Resurrection. So the decision was made to celebrate Easter on the first Sunday following the first full moon after the vernal equinox (the time of year when the number of daylight hours and night hours are approximately the same all over the earth) or the first day of spring. Kids love to calculate all this! Have them work in small groups and give each group a calendar or calendar pages that show the phases of the moon. Before you distribute the calendars, be sure to “white out” any references to Ash Wednesday, Passion Sunday, Holy Week, and Easter. I used to hear about the Easter Obligation. What is that? And didn’t we used to call it something else? Yes, we called this obligation, based on the Precepts of the Church, “Easter Duty.” It requires all Catholics to receive the Body and Blood of Christ at some time during the Easter season, which in the United States extends from the First Sunday of Lent to Trinity Sunday” (United States Catholic Catechism for Adults, page 334). * Participate in Mass on Sundays and holy days of obligation and rest from unnecessary work. * Confess sins at least once a year. * Receive Holy Communion at least during the Easter season. When we teach about Easter Duty, it is important for students to understand that it assumes that all Catholics participate in the Mass every week even if they do not receive Communion. We also need to emphasize that, although only mortal sins must be confessed, participating in the Sacrament of Penance and Reconciliation helps us by continuing the process of conversion that began at our Baptism. Finally, kids today can hardly imagine going to Mass without receiving the Eucharist. It may be helpful to point out to them that there was a time in our Church when almost no one received Holy Communion. The reason? People didn’t feel worthy enough or it was drummed into them that confession was required before receiving the Eucharist. Remind students that the Eucharist helps us become better followers of Christ if we are open to Jesus’ presence and grace within us. One last point: While First Reconciliation is normally received before First Eucharist, we are not required to participate in Reconciliation prior to every reception of the Eucharist. Laetare Sunday is celebrated on the Fourth Sunday of Lent. The origin of the name comes from the first words of the Latin Entrance Antiphon at Mass: Laetare, Ierusalem which mean “Rejoice, O Jerusalem.” Traditionally, Laetare Sunday is a day of rejoicing within this solemn penitential season. It’s hard to miss the visual sign of the celebration: The priest wears rose-colored vestments (although Lenten purple is still permitted). This is a great quote to use with older kids. You can point out that perhaps some of them have been merely coasting through Lent and are not in need of “consoling relaxation.” You can remind them that it is not too late to use the remaining two weeks of Lent fruitfully so that they are prepared to truly celebrate the Lord’s Resurrection on Easter. The Scrutinies are rites of purification and strengthening celebrated with RCIA catechumens in preparation for their Baptism. They are celebrated only with the unbaptized—with catechumens, not candidates, although there is a rite that may be celebrated with the candidates at another time. The Scrutinies are celebrated on the Third, Fourth, and Fifth Sundays of Lent. What are the fasting and abstinence obligations during Lent? Might they vary from diocese to diocese? The Church regulations for fasting and abstinence during Lent are found below. They apply to all Catholics within the United States. While it certainly is possible that an individual bishop may grant a blanket dispensation for some extraordinary reason, it is very unlikely. Lent is a six-week timeout from life as usual. * Abstinence during Lent: Catholics 14 years of age or older are to abstain from meat on Ash Wednesday and on all the Fridays of Lent. 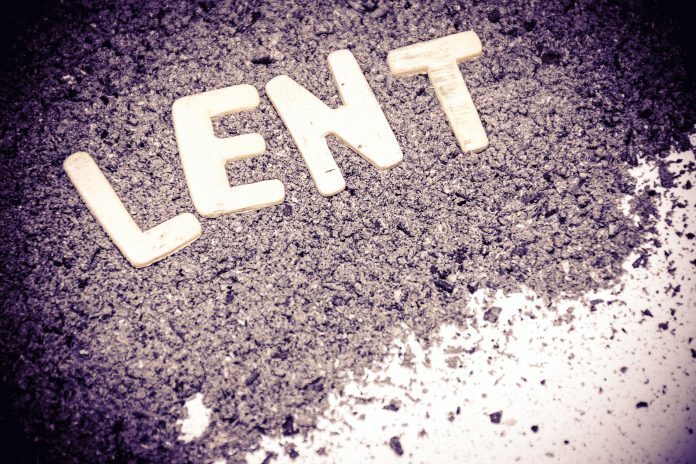 * Fasting during Lent: Catholics who are 18 years of age or older are to fast on Ash Wednesday, and are encouraged to do penance throughout the Lenten season. Catholics who have reached 59 years of age are exempt from the rules of fasting. Those who are required to fast may take only one full meal on a fast day. Two smaller meals are permitted if necessary to maintain one’s strength, but eating solid food between meals is not permitted while fasting. *The Paschal Triduum: The special Paschal fast and abstinence are prescribed for Good Friday and encouraged for Holy Saturday. Note: This means that the rules of both fasting and abstaining apply to Good Friday. It is important that these regulations are clearly explained, especially to junior high students. We can encourage all of our students (whether or not they are “of age”) to observe the spirit of the fasting and abstinence requirements, if not the exact letter of the law. For example, students can abstain from candy, pizza, soda, or some other favorite food or beverage during this season. Missing these foods is part of the process and helps us focus on Christ’s sacrifice for us. Students can also abstain from quarreling with siblings, selfish actions, going to movies, listening to their iPods, texting, or any other activity that involves a personal sacrifice. Each time you gather with your class, ask students to report on their progress in keeping their Lenten promises. Remember that Lent is a very long season and that kids need our encouragement and support to maintain their focus. Give each student a copy of February 2010, March 2010, and April 2010 [CLICK HERE for calendar pages]. Point out the phases of the moon and the vernal equinox (March 20) that are indicated on the pages. Then have students calculate the date for Easter and other important Lenten days using the steps below. 2. Find the first Sunday following the first full moon after the vernal equinox (the time of year when daylight hours and night hours are approximately the same all over the earth), or the first day of spring. (April 4) Mark that as Easter. 3. Locate the Sunday before Easter. (March 28) Mark that as Palm Sunday of the Lord’s Passion. 4. Count back six Sundays from Palm Sunday of the Lord’s Passion. (February 14). Mark the Wednesday of that week (February 17) Ash Wednesday. 5. Mark the First Sunday of Lent (February 21), the Second Sunday of Lent (February 28), and the Third Sunday of Lent (March 7). 6. Mark the Fourth Sunday of Lent as Laetare Sunday (March 14). Traditionally, Laetare Sunday is a day of rejoicing within this solemn penitential season. It is not too late to use the remaining two weeks of Lent fruitfully so that we are prepared to truly celebrate the Lord’s Resurrection on Easter. 8. Mark the dates of the Triduum: Holy Thursday (April 1), Good Friday (April 2), and Holy Saturday (April 3). Encourage students to take their Lenten calendars home and post them for all to see. Invite them to write on each square what they have done that day to prepare for the celebration of the Resurrection of Jesus. 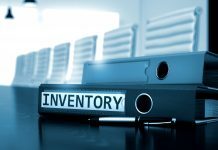 Previous articleCatholic Inventory: Where is Faith in Your Home?